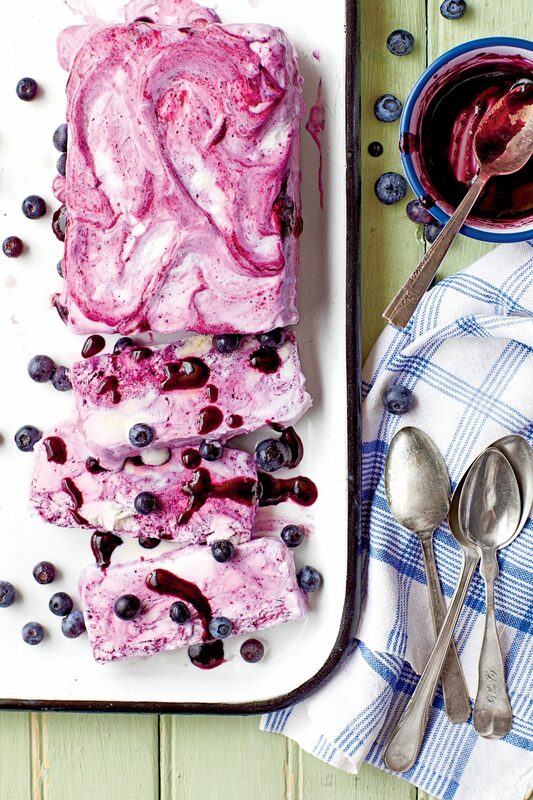 Streaks of berries throughout and more spooned on top make this classic Italian ice cream dessert a great finish to a spring dinner. 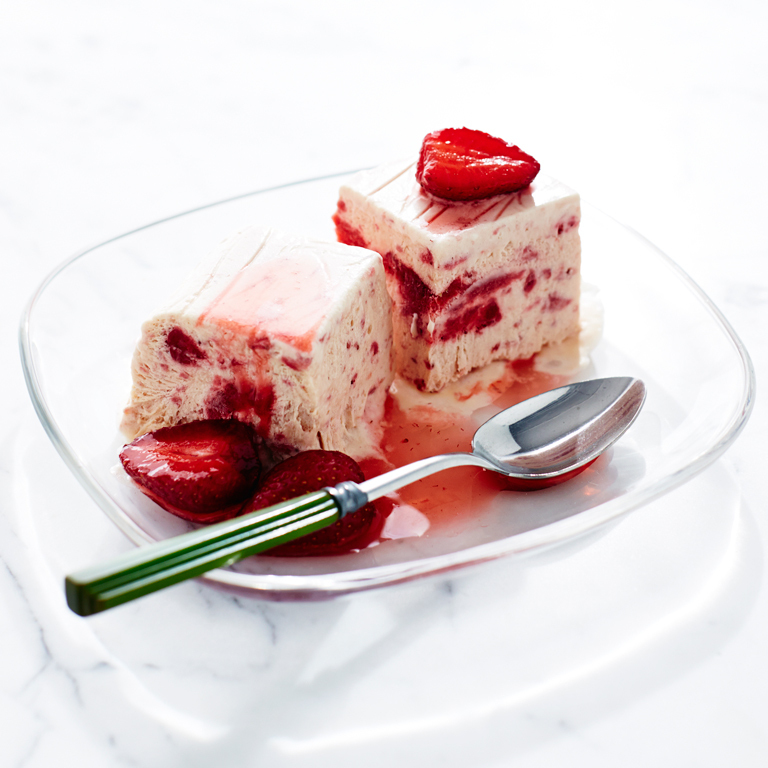 For the most velvety texture, serve it half-frozen, just as the name suggests (semifreddo means half-cold). 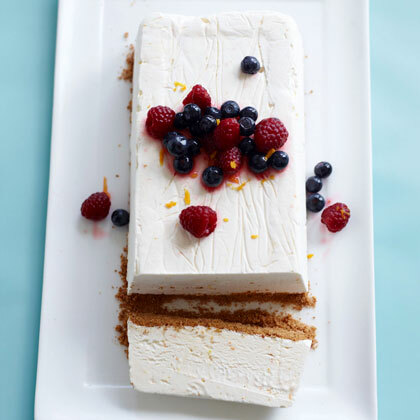 Prep: 20 minutes; other: 8 hours and 10 minutesThis refreshing lemon version of semifreddo was a hit with our taste-testing panel. It's ideal for entertaining because of the large yield. 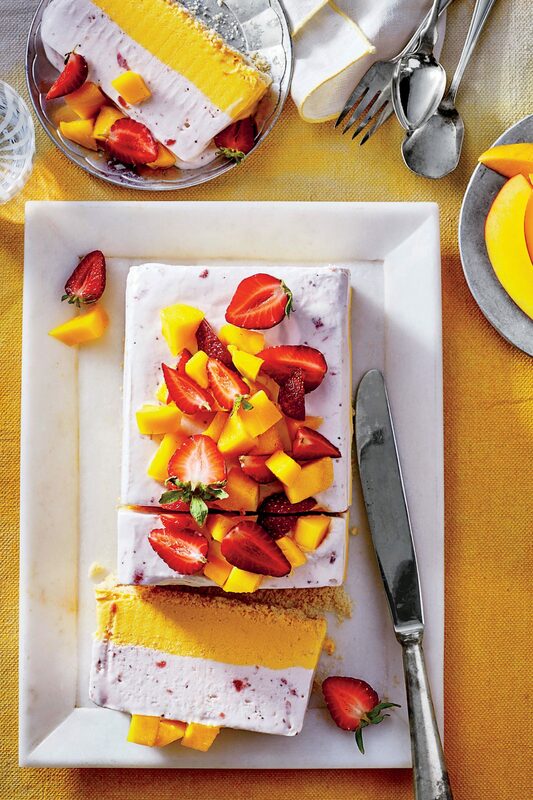 Garnish each serving with fresh mint leaves and a few fresh berries to make it extraspecial. 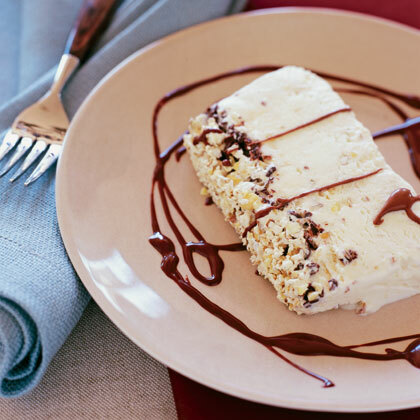 Torrone (hard almond nougat) is an Italian specialty and one of many confections associated with the Christmas feast. 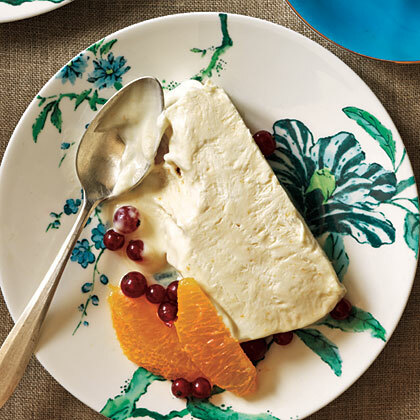 Most Calabrian families eat it unadorned; Rosetta Costantino chops it and then folds it into a semifreddo—a frozen custard dessert similar to ice cream—to give tradition a delicious twist. 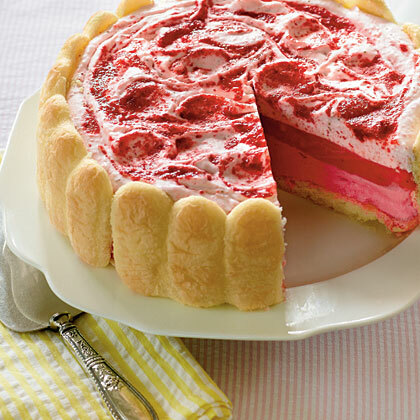 Whip up one of these creamy, luscious desserts tonight. 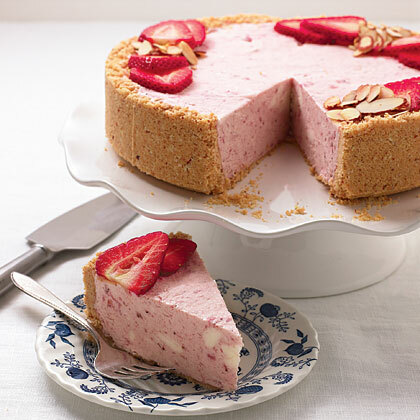 There's no baking necessary. 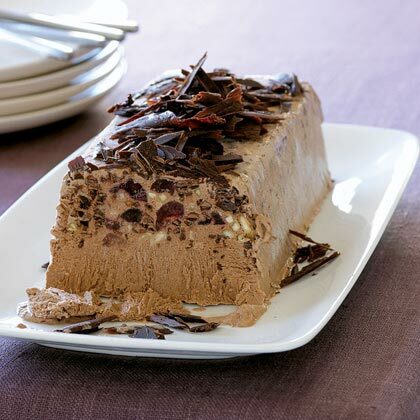 The next time you're looking for a crowd-pleasing meal topper, think icebox cakes. 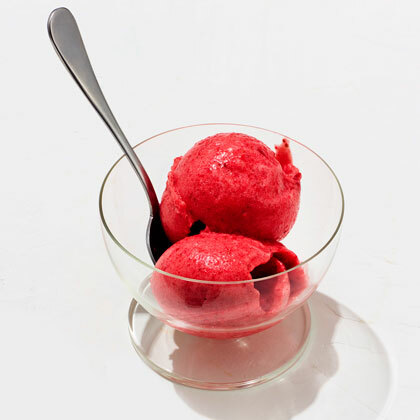 By definition, these cool, refreshing desserts are make-ahead: Mix them up, then let them sit in the fridge or freezer before serving. What could be easier than that?